I would not have liked to have been the man tasked with painting a dial in front of hundreds of loud, noisy and nosey tourists. The final part of my photo report from the Saatchi Gallery is a brief look at the watch art and handcrafts selection that Patek had on display. I will admit I didn't spend too long in this section of the exhibit as I was eager to make my way to more museum pieces, but what I saw was incredible. 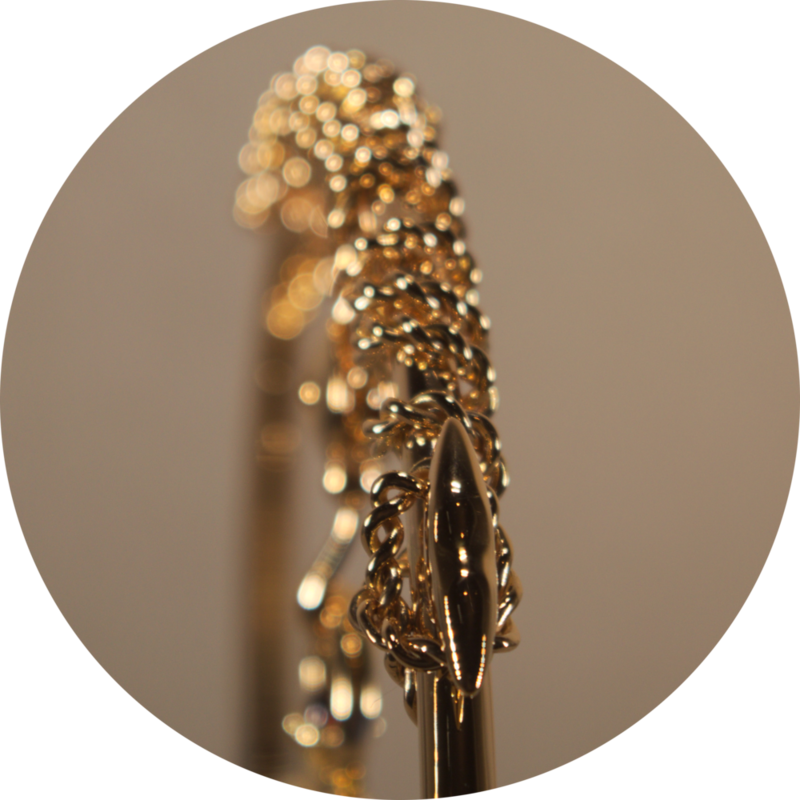 There were three artisans working on pieces in front of the general public, one setting rubies into an 18ct rose gold Nautilus case, one painting a dial and another who appeared to be servicing/inspecting a movement. I can hardly fathom the skill and patience required to do this in a quiet and climate controlled custom-built environment, let alone the nerve required to do this in an unfamiliar place whilst being gawked at by hundreds of tourists bustling past. 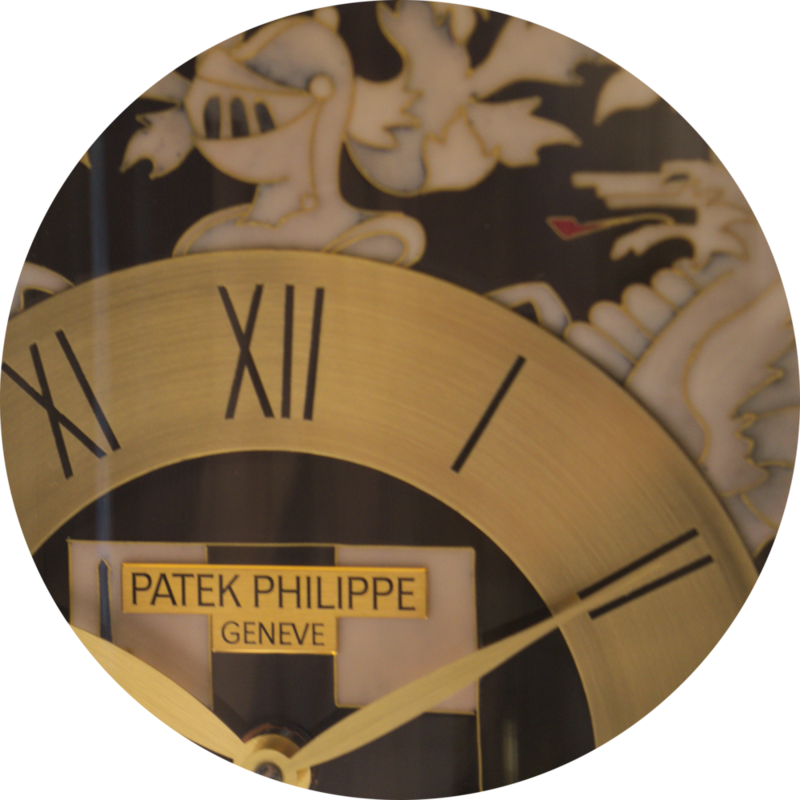 Aside from the precision engraving and enameling that we've come to expect from Patek, there were three special edition pieces with dials made of wood, which was a big surprise for me. 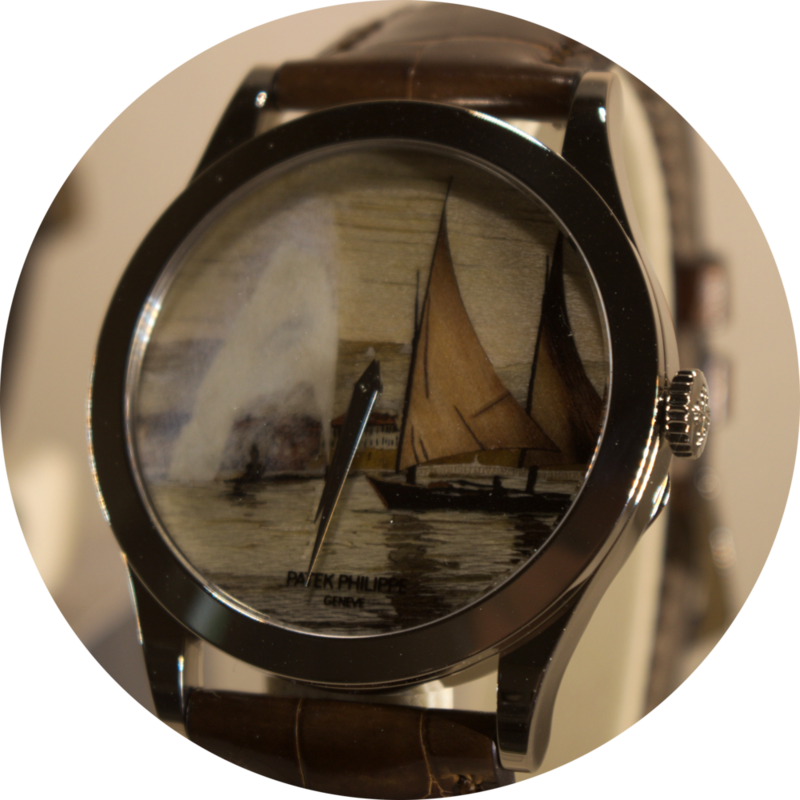 Depicting a sailboat on Lake Geneva, these limited editions were made using the special wood art of marquetry whereby small pieces of veneer are applied to a surface to create a pattern or picture. To begin with I thought these pieces were another example of a painted or enamel dial but finding out these were individually placed pieces of wood just blew me away. Normally I would associate luxury swiss watches and art with Vacheron Constantin and their Metiers D'art collection, so it's nice to be slightly taken by surprise (not by a great deal mind, I'm very much aware it's Patek we're discussing. Now when, say, Michael Kors bring out a wood marquetry dial then we'll talk surprised) by the dedication of to unique watch art. Even today, when personalised and bespoke pieces from Patek are not as common as they once were, it's great to see the skill continued. It would be interesting to find out whether Patek still makes a number of unique pieces for special clients that are not advertised. I would love to know that there is a second automaton bird cage sitting someone's house, somewhere in the world. Last time I shared my photo report of the current collection of Patek Philippe that were being displayed at London's Saatchi Gallery and now it's time for the museum pieces. Oh boy. Just wow! 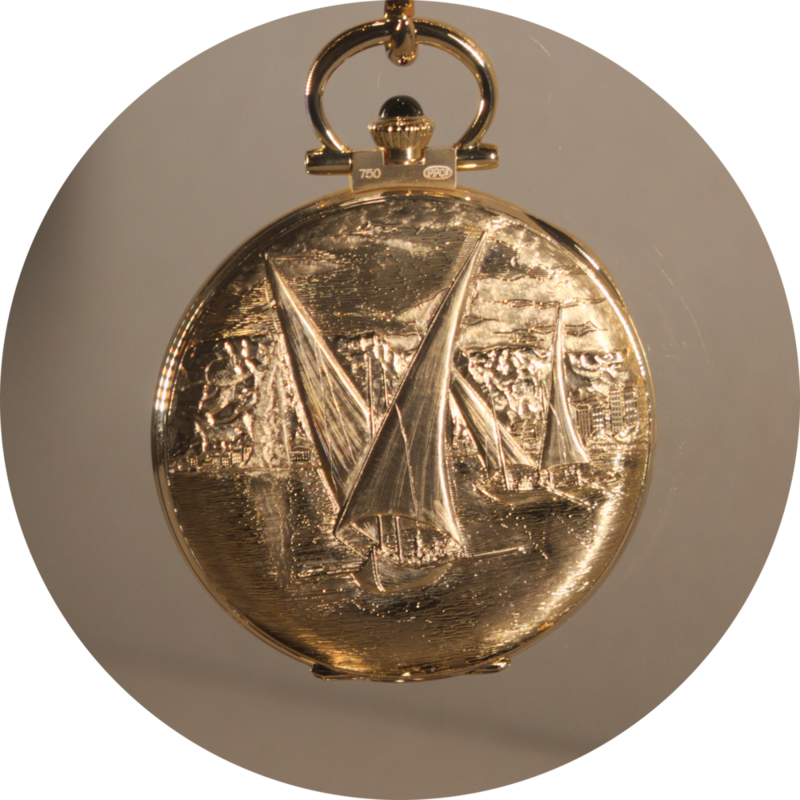 Like to receive notifications when a new article on Timepiece Chronicle is posted? Sign up to our newsletter!